Events are tentative and subject to change. Register now for Homecoming 2018 events! Flock to "The Al" to support our Golden Eagles as they take on Villanova. For tickets, visit gomarquette.com. Spend Saturday evening down at Valley Fields cheering on our men’s soccer team against Georgetown. Support the Golden Eagles as they look to defeat another Big East rival. For tickets, visit gomarquette.com. We are kicking off this year’s Homecoming with a good ol’ spirit day! Enjoy special discounts at some of your favorite spots around campus – stay tuned for the full list of specials. Stop by the AMU during your lunch break and show off your Marquette spirit with a Homecoming photo booth. Also, make sure you tag #MUHomecoming for a chance to win a 2018 Homecoming T-shirt. Show your school spirit and cheer on Marquette student organizations and groups as they parade around the Marquette Mile. Awards will be given for Best Banner, Most Spirited Small Group and Most Spirited Large Group. Winners will be announced at the Yard Show immediately following the parade conclusion. If you are a student organization or group and would like to participate in the parade, please register by Thursday, Sept. 27. Support the Marquette National Pan-Hellenic Council and Multicultural Greek Council as they present the first Homecoming Yard Show. This event is a showcase of the organization's strolls, steps, chants and traditions. Hosted by National Pan-Hellenic Council and Multicultural Greek Council. Stuff the Truck | 11 a.m. - 2 p.m., Westowne Square, AMU, 1442 W. Wisconsin Ave.
Fight hunger by bringing nonperishable food items to help us “Stuff the Truck” to benefit Hunger Task Force. Our goal is to collect 4,500 pounds of food for community members in need. After you Stuff the Truck, grab lunch at the Farmer’s Market and Grill Out, which features local produce, meats, baked goods and more. No registration required. Stuff the Truck donation bins are located in the Alumni Memorial Union and Zilber Hall. You can also make a monetary donation online; please designate “Marquette University.” All donations support Hunger Task Force. Hosted by Sodexo and Marquette Dining Services. Experience one of Marquette’s tastiest traditions. Enjoy a hot cookie, ice cream and milk. This is a free event; no meal plan required to gain access into the residence hall cafeteria. No preregistration is required. Until supplies last. The Marquette community is invited to gather for Tuesday night Mass at the St. Joan of Arc Chapel – a tradition at the heart of Marquette’s campus. No preregistration is required. Have lunch at “The Al” and support our volleyball team as they battle Xavier in a Big East showdown. For tickets, visit gomarquette.com. Bona is a graduate of The Program for Writers, University of Illinois, Chicago, and received her B.A. from Marquette University. As an Adjunct Professor of English at the College of DuPage, Glenn Ellyn, IL, she taught Creative Writing and English. She conducts writing workshops and has worked as a journalist and public relations professional. Her poems have appeared in The Little Magazine, Marquette Journal, and Prairie Light Review. Respond via Eventbrite. 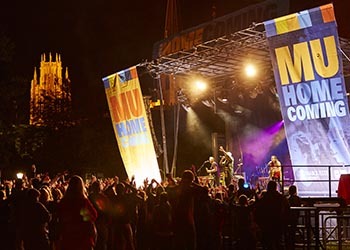 Join the Marquette community for a special game of glow-in-the-dark BINGO with exclusive Homecoming week prizes, including Fanatics tickets, and meet-and-greet with the Rock the Mall Concert artists. Hosted by the Residence Hall Association. Head to Valley Fields as the women’s soccer team faces Big East foe DePaul. As a part of Socctoberfest German-themed food items available for all fans. The match will feature free socks for the first 200 students in attendance as well as a contest to win VIP tickets to the Marquette Madness event the following night. For tickets, visit gomarquette.com. Here's your chance to share your talent with campus! Don’t miss your opportunity to perform at the annual talent show. Students, faculty, staff and alumni are invited to showcase their talents for an evening we will not soon forget. No pre-registration is required. Interested in performing at MU Spotlight? Contact Madison Hicks at madison.hicks@marquette.edu by Wednesday, Sept. 19. Alumni will have the opportunity to share their insights and professional experiences to help students with their career journey as they prepare for life after Marquette. Enjoy continental breakfast as you dialogue and then hear from a panel of professionals spanning multiple careers and life stages. Angie Helfert, Eng ’07, Project Manager, Mortenson; Portland, Ore.
Micky Minhas, Eng ’89, Vice President, Chief Patent Counsel, Microsoft; Redmond, Wash. If you have registered for the Glow Blue and Gold 5K Run/Walk, please stop by the second floor of the AMU across from the Information Desk to pick up your run packet. If you are unable to pick up your packet during this time, you can still pick it up at the race. Students will not be permitted to pick up race packets for anyone but themselves. Ready. Set. Race! Gather a team of friends to compete in an epic bed race down 12th Street. Each bed race team consists of 5 members (two on the bed and three pushing the bed). Prizes awarded for top 3 teams and team with the best costumes. Registration deadline is Thursday, Sept. 27. Unwind from the week and join us at Milwaukee’s lakefront for music, games, food trucks and much more! Then stay and cheer on your friends in the Glow Blue and Gold 5K Run/Walk. Get ready to light up the lakefront with blue and gold foam for a Marquette glow run unlike any other! Explore one of Milwaukee’s most iconic sites as the Marquette nation takes to Veterans Park for a 5K night run and walk, including a family fun 1k option. Proceeds from this event will support Marquette’s Midnight Run, a volunteer service program focused on the particular needs of the hungry and homeless people living in the community around Marquette. Pricing through September 16: Marquette University student ($15) and non-Marquette student ($20). Pricing from September 17- October 4: Marquette University student ($17); non-Marquette student ($25). Pricing on Race Day: Marquette University student ($25); non-Marquette student ($30). Children 13 years old and under are free. Please note that $5 of the registration cost for the event will be considered a non-refundable donation to Midnight Run. Transportation is available to and from Veteran's Park. Shuttles will depart starting at 5 p.m. and will run continuously until 6:30 p.m. Shuttles will return to campus immediately following the 5K. Pick up/drop off location is behind the Al McGuire Center in "the Wiggle" (inlet at 11th and Wells Streets). Limited parking available at Veterans Park. Glow Blue and Gold 5K Run/Walk participants are strongly encouraged to take shuttle transportation. Students: get excited -- basketball season is almost underway. To kick off the season, the Men’s and Women’s Basketball teams invite you to the Al McGuire Center for Marquette Madness. 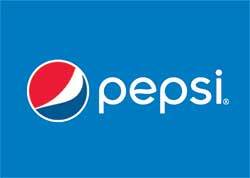 This year's new format features a concert by six-time Grammy nominee B.o.B, which will be preceded by introductions of the 2018-19 men's and women's basketball teams, a shooting and dunk contest and opportunity for fans in attendance to win numerous prizes. Attendees will receive food samples as they enter the venue and an exclusive T-shirt as they exit. Lucky fans can also join current Marquette players in shooting contests to win a television, Xbox, iPad, or Bluetooth Speaker courtesy of Meijer. For a chance to participate in contests or get access near the stage for B.o.B during the concert, be sure to download the MU Rewards App, available by searching "MU Rewards" in the App Store or Google Play. The Madness continues with Late Night Marquette! Gather with friends for a late night breakfast of eggs, bacon and all your favorite breakfast treats. No preregistration is required. Start your Saturday morning off right! Join Joanna from Embody Yoga for an exciting session of R&B Yoga in the 707 Hub. The Marquette basketball season is just around the corner! This is your chance to see the men’s and women's basketball teams in action as they take the court for practice. Celebrate the return of your favorite players and catch a glimpse of the exciting new additions to the teams. The practice is open to the public. Spaces and places may have changed, but the Marquette spirit you remember is stronger than ever. Grab your Marquette passport and explore the centers and innovative spots that define Marquette’s campus today. Learn more about Explore Marquette sites. Klingler College of Arts and Sciences Spotlight: Center for Cyber Security Awareness and Cyber Defense (part of the Klingler College of Arts and Sciences): Cudahy Hall, Room 401, 1313 W. Wisconsin Ave.
Klingler College of Arts and Sciences Spotlight: Center for Peacemaking: 1616 W. Wells St.
For 10 years, Marquette’s Center for Peacemaking has fostered research and facilitated action that promotes social justice, human dignity and peace. Visit the north side of campus and meet the peacemaking team that passionately supports the center’s mission each day. October is National Cyber Security Awareness Month, so don’t miss this opportunity to learn how Marquette prepares masters-level students for careers in one of the fastest growing and most vital professions of the 21st century. Dr. Tom Kaczmarek, center director, will share center highlights, including research opportunities around cyber security technology, preparedness and education. College of Business Administration: David A. Straz, Jr., Hall, 1225 W. Wisconsin Ave.
Visit the college’s first-floor Straz Atrium, where business students and faculty will provide an overview of Bus Ad’s innovative and nationally ranked centers and programs, including real estate, supply chain management and applied investment management. Learn first-hand how students today become tomorrow’s business leaders through real world industry experiences. College of Education: Schroeder Complex, Room 112, 560 N. 16th St.
12:30 - 1 p.m.: Socialize and enjoy refreshments with Education alumni, students and faculty. 1 - 2 p.m.: Presentation/brief overview of how learning connects with our emotions. Dr. Terry Burant and Dr. Karisse Callender will kick off our discussion, and we will then break into smaller groups for in-depth conversation on this detailed topic. College of Health Sciences: Cramer Hall, Room 087, 604 N. 16th St. Physician Assistant is one of today’s hottest and fastest growing medical professions. Marquette’s Physician Assistant Studies Program is nationally ranked and growing in demand each year. Hear from Dean Bill Cullinan about the program’s success and the new $18.5 million facility (now under construction) that will house it. College of Nursing: Clark Hall, lower level, 530 N. 16th St.
Dean Janet Krejci invites you for a tour of the Wheaton Franciscan Healthcare Center for Clinical Simulation. See how Marquette nurses are trained to handle today’s medical situations – often complex and high-risk – using the college’s cutting-edge, simulated health care environment. J. William and Mary Diederich College of Communication: Johnston Hall, 1131 W. Wisconsin Ave.
Johnston Hall is the original university building (that’s old! ), but inside, the college delivers cutting-edge 21st century education to tomorrow’s communication professionals and stage artists. Interact with students and faculty while exploring some of the latest updates, including the state-of-the-art student media and television production facilities, which boast an exclusive virtual set technology and robotic camera system in the college’s new green-screen studio. LGBTQ+ Resource Center: AMU, Room 140, 1442 W. Wisconsin Ave.
Stop by and say ‘hi’ to the center staff, students and LGBTQ+ Alumni Council – all are welcome! Student ambassadors and faculty will be on hand as you take a self-guided tour exploring 21st century experiential engineering education. After visiting some of Engineering Hall’s high-tech labs, walk across 16th Street to Haggerty Hall and see Marquette’s new engineering Student Success Center. Join the Ethnic Alumni Association, the Office of Institutional Diversity and Inclusion and the Education Opportunity Program for a networking reception with alumni, faculty, staff and students. Complimentary hors d'oeuvres will be provided. Don’t miss the opportunity at the Block Party to meet the 2018-19 men’s and women’s basketball teams! Special autograph opportunities will be available with a limited-edition glow-in-the-dark schedule poster. Get ready to rock Central Mall with The All-American Rejects! Since the start of their career, alternative rock/power pop titans The All-American Rejects have sold over 10 million albums worldwide and helped define a post-emo sound that was the soundtrack of a decade. With smash hits “Gives You Hell,” "Dirty Little Secret," “Move Along,” “Swing, Swing” and “It Ends Tonight,” their songs have become an indelible slice of the era. Singer and songwriter Daya made her debut with 2016’s double-platinum “Hide Away,” and won her first Grammy Award for her smash collaboration with The Chainsmokers, “Don’t Let Me Down,” released a gold-certified album, and headlined a national tour. Just months after debuting at No. 5 on Billboard’s 21 Under 21 list in 2016, the Pittsburgh-born artist emerged as the youngest honoree on Forbes’ 30 Under 30 music list in 2017. Enjoy festival food, activities, a special alumni beer garden and an outdoor music experience unlike any other. The private concert is open to Marquette students, alumni, faculty and staff. While admission is free, pre-registration is required. Tickets are limited. The concert gate is located on Wisconsin Avenue by the Olin Engineering Center. Please read the concert policies before you go. The beat goes on! Continue the momentum from the Rock the Mall Concert by dancing the night away at this year’s Homecoming dance. Neon and glow attire is encouraged. The dance is free to Marquette University students with their MU ID. Marquette students are allowed one non-Marquette student guest. Guests must be 18+ years of age and must show state ID at door. Guest tickets are $5 and must be purchased at the door. Be sure to tag #HighlightTheCulture on social media for an opportunity to win prizes. Hosted by the African Society Association, Black Student Council and National Association for the Advancement of Colored People. This musical adaptation of Louisa May Alcott’s enduring novel is about a stalwart heroine, determined to rise. Jo March struggles to find her way as a successful, independent writer, as her melodramatic stories are not selling. Seeking a new subject, she reflects on her life and family, and growing up during the Civil War. This American classic about the March sisters is vividly brought to life with a Broadway score. Purchase tickets on the Marquette Theatre website. Join us for a special Homecoming Mass as we close out the weekend with Marquette spirit. No preregistration is required. Register now for Homecoming 2018 events. Please read the concert policies before you go. Get key updates and reminders about Homecoming: Text "muhomecoming" to 313131 to opt in to text alerts. Spread the word about #MUHomecoming. For more information about Reunion + Homecoming, contact Jennilee Schlinsky at jennilee.schlinsky@marquette.edu or (414) 288-7661. Visit the Reunion + Homecoming website to learn more about special alumni events taking place during the week.